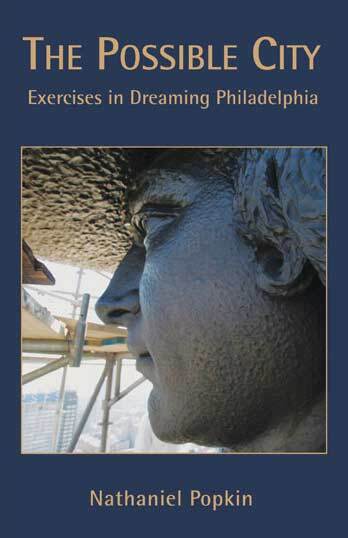 “Without revolution, industry, or influence,” says author Nathaniel Popkin, Philadelphia “lives on by invention.” In these masterful essays formed from Popkin’s intimate journalistic adventures, is the architecture of a city rebounding. Here are the city’s beguiling founding ideals, the physical ruins of its might, and the search, amidst row house streets, for elevation, for an open city that delights, inspires, and rewards. In the search for openness, Popkin brings forth other writers from other other cities—Lampedusa, Pamuk, Nasr, and Mumford—to arm the reader for the encounter with Philadelphia’s defensive pride, its instinct to protect, its fear of further loss. As a response, he posits a new framework for cities everywhere. No longer is it enough for a city merely to function. To elevate civilization, instead a city must perform—it must build, create, invent.